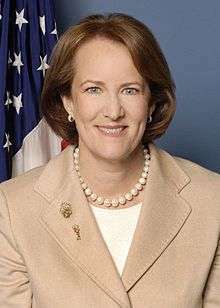 Karen Gordon Mills (born September 14, 1953) served as the 23rd Administrator of the U.S. Small Business Administration (SBA). She was nominated by President-elect Barack Obama on December 19, 2008, confirmed unanimously by the Senate on April 2, 2009, and sworn in on April 6, 2009. During her tenure, her office was elevated to the rank of Cabinet-level officer, expanding her power on policy decisions and granting her access to cabinet meetings. On February 11, 2013 she announced resignation as Administrator and left the post on September 1, 2013. Since leaving the SBA, Mills has served as a Senior Fellow at both the Harvard Business School and the Harvard Kennedy School with a focus on U.S. competitiveness, entrepreneurship and innovation. She is the president of the investment firm MMP Group, Inc., is the vice chairman of the board of directors of the immigration services company VisaNow and a regular contributor to Fortune. Mills is the daughter of Ellen (née Rubin), the present CEO of Tootsie Roll since 2015, and Melvin Gordon, the President and CEO of Tootsie Roll Industries from 1962 until 2015. She has a B.A. in economics from Harvard University and an MBA from Harvard Business School. She is married to Barry Mills, who served as president of Bowdoin College from October 2001 to July 2015, and has three sons. Mills has extensive experience in managing and investing in small businesses. During the 1980s and 1990s, Mills invested in and managed several small manufacturing firms throughout the country, including producers of hardwood flooring, refrigerator motors, and plastic injection molding. More recently, she served on the board of the Maine Technology Institute, a nonprofit that invests in local technology companies and innovative small businesses. Before becoming SBA Administrator, Mills served as president of the private equity firm MMP Group, a firm focused on growing businesses in areas such as consumer products, food, textiles, and industrial components. Prior to MMP, she was a founding partner and managing director of Solera Capital, a venture capital firm based in New York City which invested in many women-owned firms, such as natural food producer Annie's. In 2007, former Maine Gov. John Baldacci appointed her to chair the state’s Council on Competitiveness and the Economy, which was focused on rural and regional development, including a regional "cluster" with Maine’s boatbuilding industry. She also served on the state's Council for the Redevelopment of the Brunswick Naval Air Station. Previously, she has worked as a management consultant in the US and Europe for McKinsey and Co., and as a product manager for General Foods, and has served on the boards of directors for Scotts Miracle-Gro and Arrow Electronics. Mills is an advocate for regional innovation clusters—geographic groupings of related industries (such as tech companies in Silicon Valley) that can share resources, ideas, and human capital. In 2005, Mills became involved with the effort to create new jobs following the closing of the Brunswick Naval Air Station. She helped organize the North Star Alliance, a partnership between local boat builders, composite material manufacturers, and researchers at the University of Maine, which has helped increase the global competitiveness of Maine’s boat building and composite industries. She went on to organize the creation of a specialty foods cluster in Maine, with specialty producers, such as Peak Organic Beer, taking advantage of Maine’s local agriculture. In 2007 she was appointed chair of Maine’s Council on Competitiveness and the Economy, where she focused on attracting investment in regional industries and rural areas of Maine. Mills authored a paper on the subject of clustering for the Brookings Institution in April, 2008. Created in 1953, the Small Business Administration operates in four key areas: expanding access to capital, increasing government contracting opportunities, entrepreneurial development, and disaster relief. 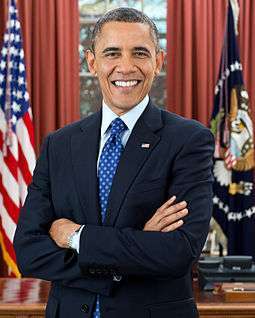 The agency gained a higher profile under President Obama, who has made small businesses a cornerstone of his effort to revive the economy in the wake of the Great Recession. Mills was confirmed as Administrator of the SBA at a critical time in early 2009 when the small business lending market had ground to a halt, including SBA-backed lending. She oversaw implementation of key provisions of President Obama's American Recovery and Reinvestment Act of 2009, including the waiving of fees on SBA-backed loans and increasing the agency's government guarantee on loans made by private sector lenders. The impact of these provisions were immediate with average weekly loan volume increasing by more than 60 percent. Leveraging bipartisan support for America's small businesses, Mills led the push for the passage of the Small Business Jobs Act of 2010, which was referred to at the time as the most significant piece of small business legislation in more than a decade. Among other things, the Act extended the successful Recovery Act loan provisions, raised the maximum size of SBA-guaranteed loans, expanded opportunities for small businesses competing for federal contracts, created the State Trade and Export grant program, provided $50 million in additional funding for Small Business Development Centers, and strengthened the agency's oversight and enforcement tools. Under Mills, SBA also launched the Impact Fund pilot program, under the agency's Small Business Investment Company program, with the goal of capitalizing investment funds that seek both financial and social return, as well as its first regional clusters initiative. In January 2012, the position of Administrator of the SBA was elevated to the rank of Cabinet-level officer, expanding Mills' power on policy decisions and granting her access to cabinet meetings. On February 11, 2013, she announced that she would resign as Administrator of the SBA, with President Obama saying that; "because of Karen’s hard work and dedication, our small businesses are better positioned to create jobs and our entire economy is stronger." Mills left her position at SBA on September 1, 2013. She received praise for her leadership of the agency from the lending industry because of her work to tackle outdated regulations, bureaucracy and strengthening and simplifying the agency's core loan programs. During her tenure, the agency supported more than $106 billion in lending to more than 193,000 small businesses, including two record years of SBA-backed lending and three record years of investments made through the Small Business Investment Company program. Additionally, in federal fiscal years 2011-13, $286.3 billion in federal contracts were awarded to small businesses, which was $32 billion more than the three previous years. Since leaving the SBA, Mills has served as a Senior Fellow at the Harvard Business School and at the Mossavar-Rahmani Center for Business and Government at the Harvard Kennedy School focusing on U.S. competitiveness, entrepreneurship and innovation. In July 2014, she released The State of Small Business Lending: Credit Access During the Recovery and How Technology May Change the Game, which looked at the structural and cyclical contributors to the severity of the credit crunch following the 2008-2009 recession and the slow recovery of the small business lending markets. It also examined the rapid growth, trends and impact of online lenders focused on the small business market. Additionally, at HBS she has contributed research and recommendations on the link between entrepreneurship and middle class opportunity, including in the September 2015 U.S. Competitiveness project reports The Challenge of Shared Prosperity and Growth and Shared Prosperity. In both reports she authored sections considering the impact of the declining rate of new business startups on issues like income inequality and economic mobility, and offered recommendations on how to increase startup rates through a combination of policies focused on access to capital, skills training and the creation of entrepreneurial ecosystems. She is also a member of the Milstein Commission on Entrepreneurship and Middle Class Jobs at the University of Virginia's Miller Center and a contributor to the commission's January 2015 report Can Startups Save the American Dream? which proposed a series of "practical, meaningful measures that can generate consensus and advance America’s startup community in service of the middle class." In 2013, Mills also returned to her position as president of MMP Group, Inc., a firm that has invested in businesses in consumer products and services, food, textiles, and industrial components, and is the vice chairman of the board of the immigration services company VisaNow. She is a member of the Council on Foreign Relations and previously served as a vice chairman of the Harvard Board of Overseers, the older, more consultative, and larger of the two Harvard governing bodies. In 2014, she was elected to fill a vacancy in the Harvard Corporation (made up of the President and Fellows of Harvard College), the University's smaller governing body that is its principal fiduciary authority. She is a regular contributor to Fortune, writing primarily on the economy, small business and entrepreneurship. ↑ Mills, Karen. "Karen Mills - Faculty - Harvard Business School". www.hbs.edu. Retrieved 2015-09-22. 1 2 3 "Karen Gordon Mills - VISANOW Global Immigration". VISANOW Global Immigration. Retrieved 2015-09-24. ↑ "Why online lending will take off with small business owners". Fortune. Retrieved 2015-09-24. ↑ "How the Internet is giving Small Business Saturday an edge". Fortune. Retrieved 2015-09-24. 1 2 "What's missing in America's immigration debate". Fortune. Retrieved 2015-09-24. ↑ Strom, Stephanie (2015-01-21). "Melvin J. Gordon, Who Ran Tootsie Roll Industries, Dies at 95". New York Times. Retrieved 2015-02-20. 1 2 Harrison, J.D. ; Ravindranath, Mohana. "SBA administrator Karen Mills stepping down". washingtonpost.com. Retrieved February 11, 2013. ↑ "Karen Mills". Themainemag.com. Archived from the original on April 6, 2010. Retrieved 2010-07-16. ↑ Mills, Karen. "Karen Mills - Faculty - Harvard Business School". www.hbs.edu. Retrieved 2015-09-23. ↑ "The Challenge of Shared Prosperity - U.S. Competitiveness - Harvard Business School". www.hbs.edu. Retrieved 2015-09-23. ↑ "Growth & Shared Prosperity - U.S. Competitiveness - Harvard Business School". www.hbs.edu. Retrieved 2015-09-23. ↑ "Being an entrepreneur: a right only for America's well-connected?". Fortune. Retrieved 2015-09-23. ↑ "A Real Path to Shared Prosperity in America". Retrieved 2015-09-23. ↑ "Riding the Tiger—Miller Center". millercenter.org. Retrieved 2015-09-23. ↑ "Being an entrepreneur: a right only for America's well-connected?". Fortune. Retrieved 2015-09-24. ↑ "How Washington can renew U.S. manufacturing". Fortune. Retrieved 2015-09-24. ↑ "How to ignite the U.S. economy (region-by-region)". Fortune. Retrieved 2015-09-24.